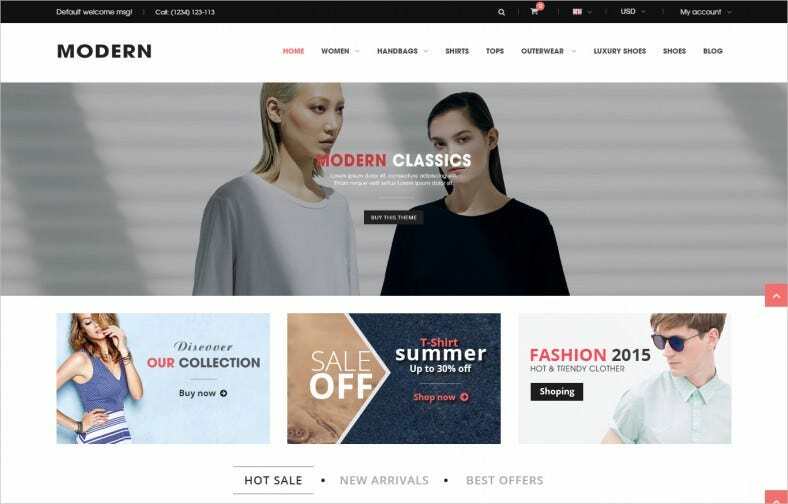 A plethora of the most popular and premium ecommerce templates are now featured in our New eCommerce Website Templates August 2015 collection. The free sample templates contain all the elements of the real themes and templates which your website craves right now. 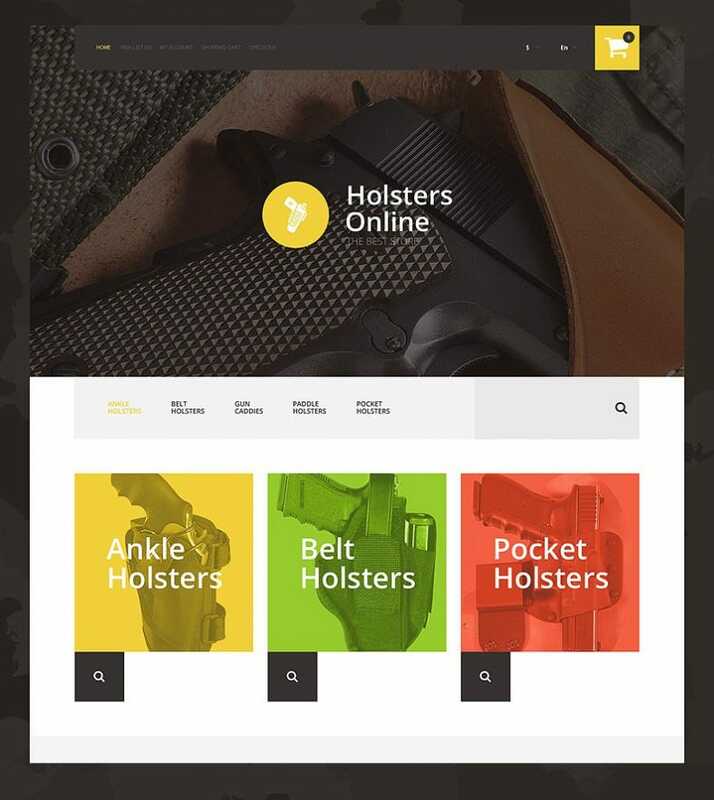 They contain responsive layouts, multiple menu options and blogging content as well which makes commenting on products and hosting a discussion forum possible. 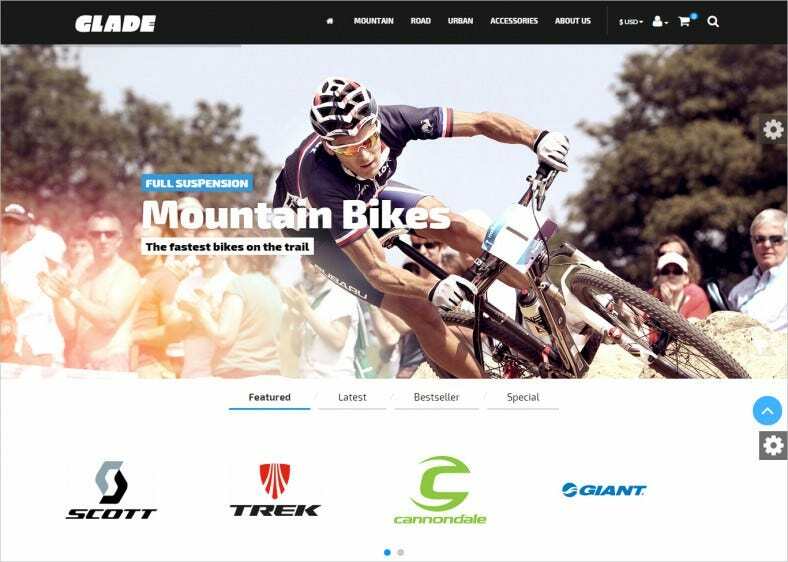 Download this theme layout to create some of modern and stunning websites for various types of companies and brands. Truly the template has been provided with features that can help you to elevate the standard of your website. The design can be found across the internet with a lot of ease. The user can download this template with convene ice and can attain it in the form of word document or even in the form of PDF. This is a template format that can be accessed and used by the basketball companies. The template has a highly stylish look and can also contain a huge gamut of information and details. 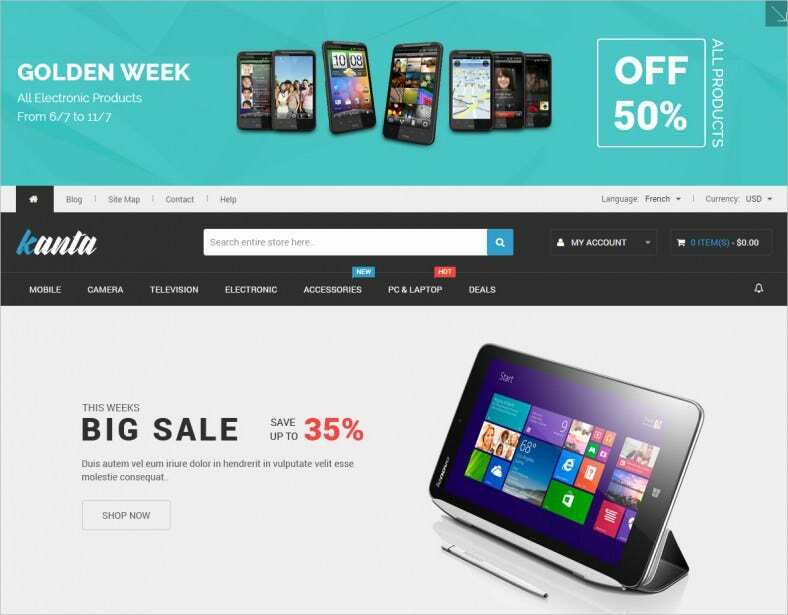 This is a template design that has a selection of highly responsive features. The template is also provided with a great search option that helps the user to navigate freely within the template. 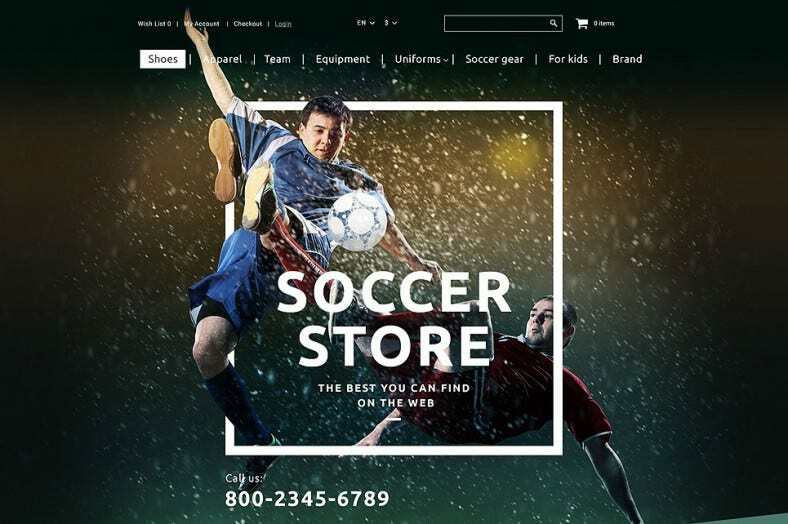 This is one of the best formats that can be employed to create website for a rental shop. 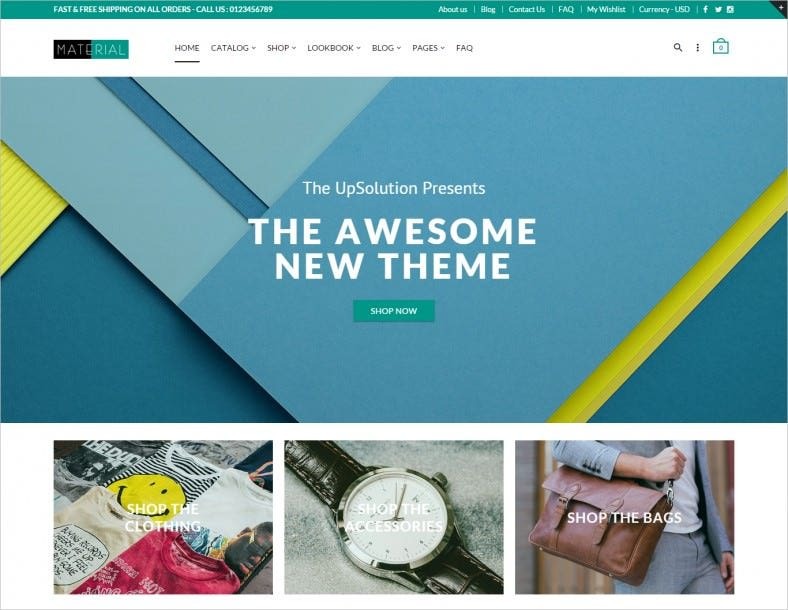 The theme has a fresh and an interesting look. The template is fully editable and the user can change the template as per requirement. 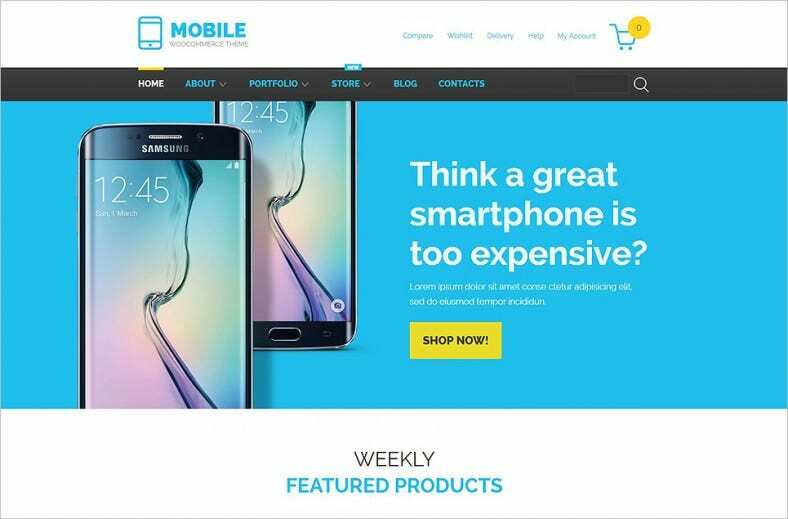 Mobile phone companies can target this template design to create an impressive and illustrative website for themselves. 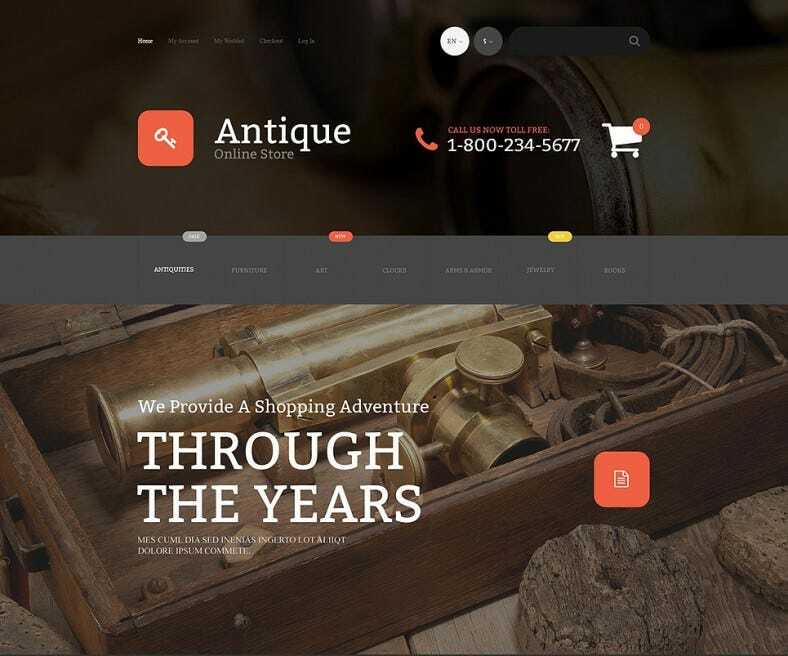 The template has a great slide show that can help the user to make detailed websites. 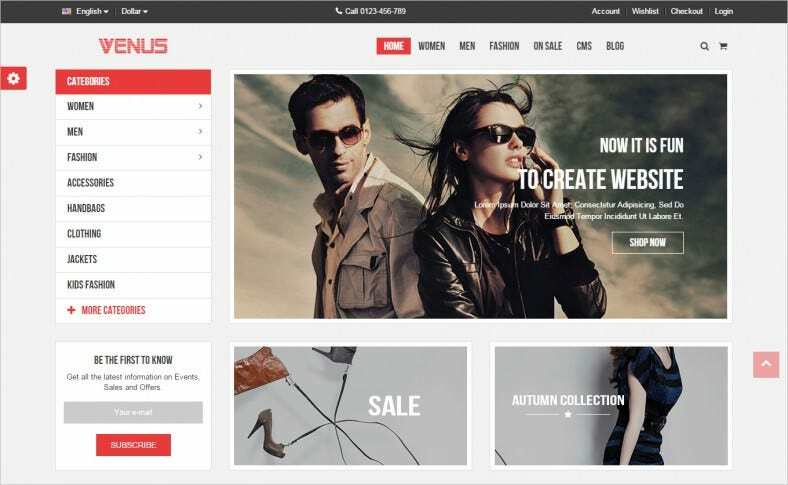 Web designers can use this particular template to create great online shopping websites and portals. The template is highly responsive and hence provides websites with great functionality. 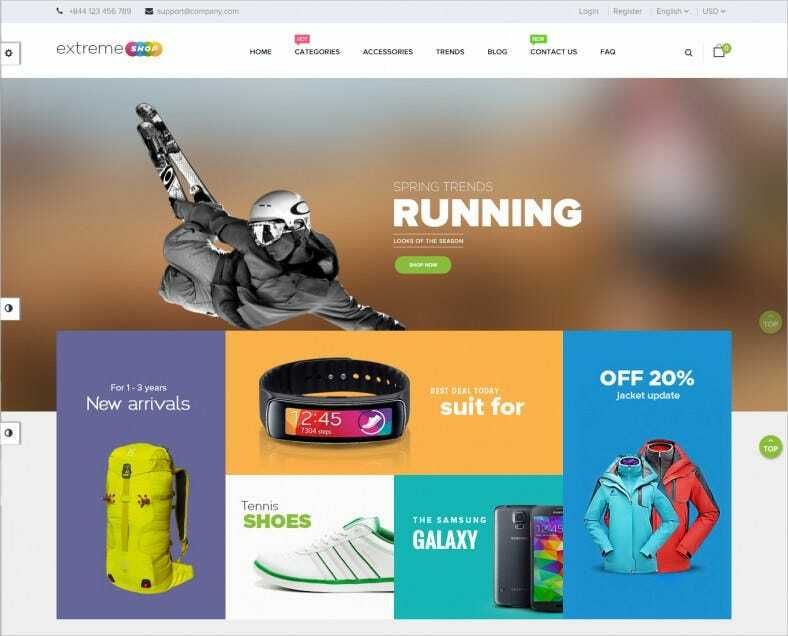 One of the best options that you can get across the internet, this is one of the most impressive designs that can be employed to create effective websites to illustrate the qualities and the looks of the various digital appliances. Provided with an array of great images can support very interesting and attractive websites. 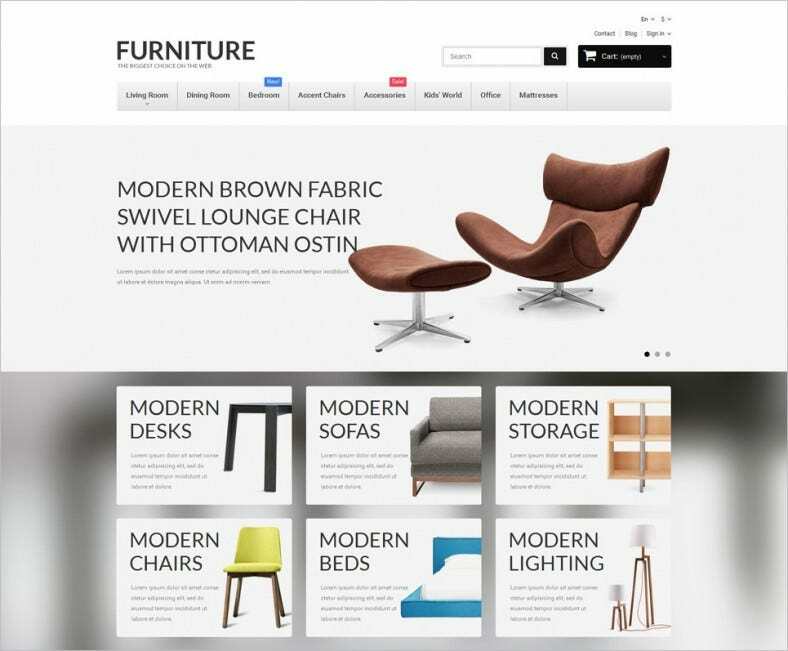 The template is packed with great attributes that can facilitate sophisticated websites with great functionality. 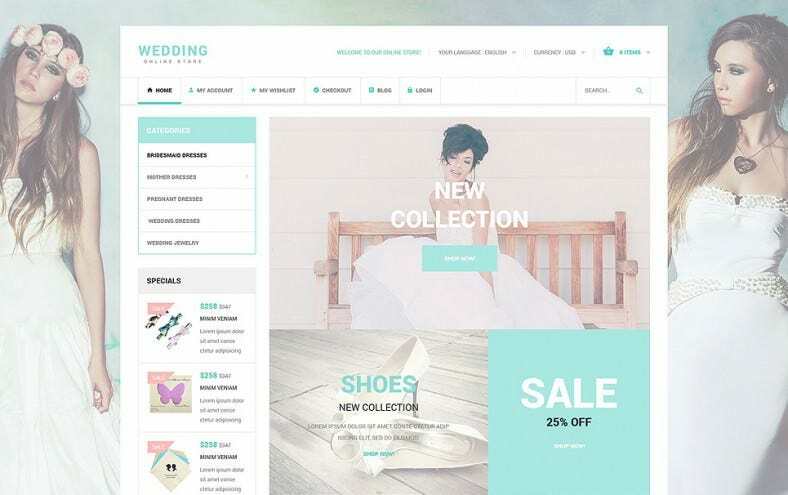 The design can be used to create beautiful websites that can adorn and endorse lovely wedding jewelries and accessories. The template has SEO compatibility and is also fully customizable. This template theme has a bright and attractive color play. The theme is fully editable. The user can change the background theme and can also change the subject matter as per requirement. The template is widely available over the web world. 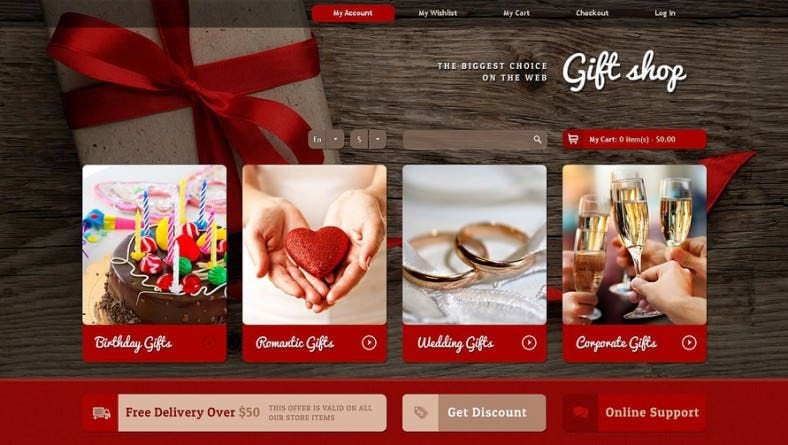 The theme has attributes through which the company can give additional advertisements of extra discounts and other rebates that can attract greater traffic. 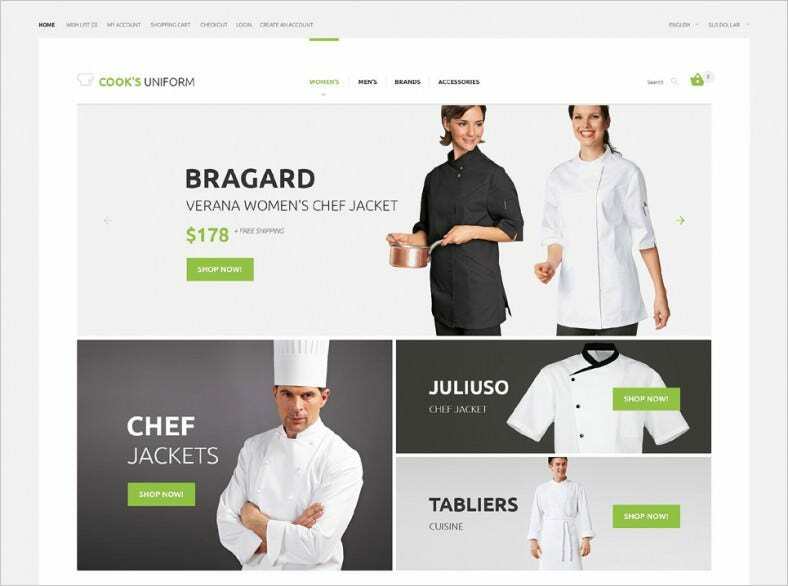 This is a design layout that can be used by various digital appliance companies like mobile phones and laptops so that informative and attractive websites can be created. The template can support attractive graphics. This is a template design that has a very glamorous color play. The theme can be used to furnish a great volume of information. The user can upload new information with ease and speed. This is a template design that has very bright and dynamic background. The theme of the template is very generalist. This is why the template format can be applied in the case of various types of websites. The template has a very sober and serene color play. This adds to the glamour and the attractiveness of the format. 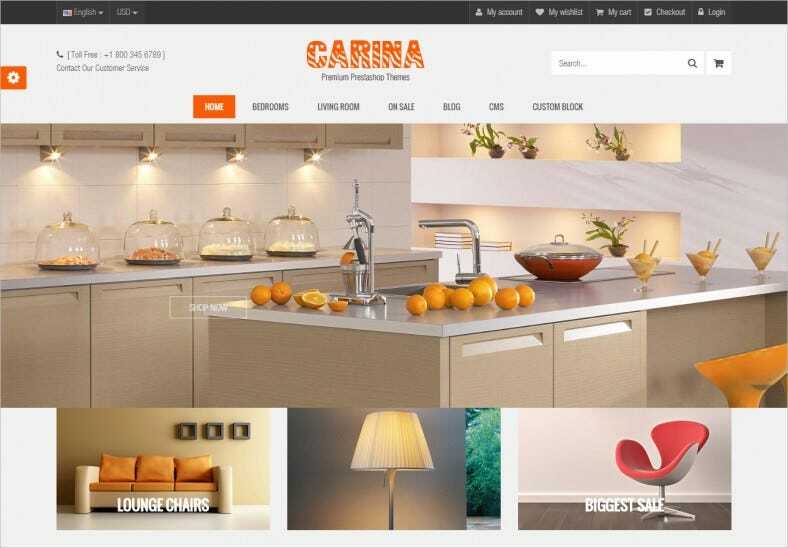 The template has an array of super responsive features and is also super navigable. This is a template that can be used by home decor and lifestyle product companies. 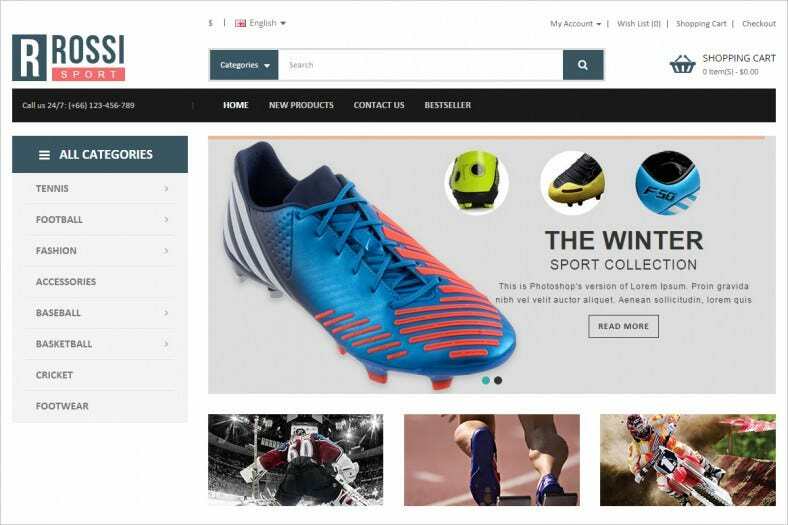 The theme has been provided with a super simple and yet effective slide show that can allow the website to exhibit various items and goods. The template theme has been provided with some of the most attractive color schemes. The template has a great resolution range that can enable the user to get brilliant quality printouts. This is a template format that has been provided with a feature of cross browser compatibility. The template can create websites that can be owned and accessed across a wide array of devices. This is a template format that can support illustrative websites. 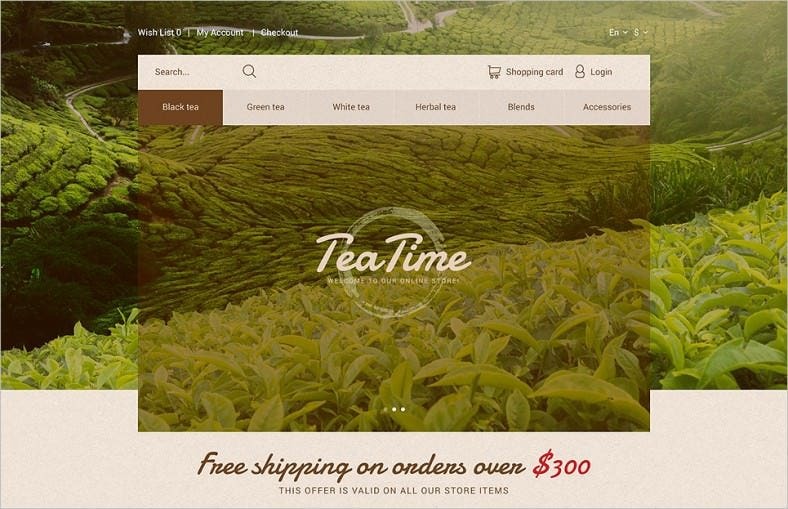 This template can make great website for a tea company or even a tea estate the template is print ready and has a great SEO compatibility. This is a template design that has a great design pattern. 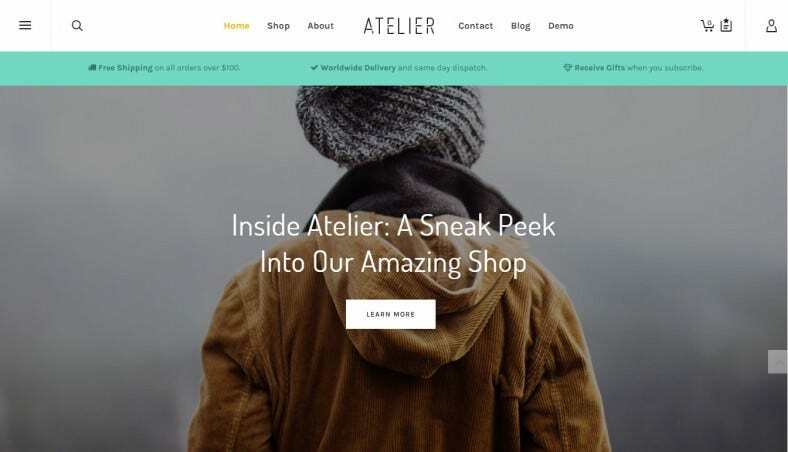 The theme is highly simple yet is very much elegant in its style. The theme has a color play that is highly soothing and fresh in its looks. 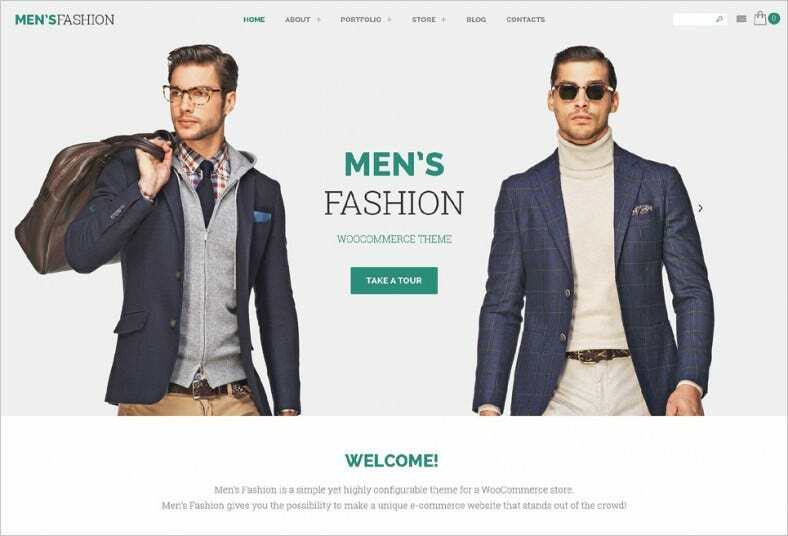 This is a template design that can be used by the fashion and the apparel companies who are into the making f men’s fashion clothes and other types of accessories. The template is super responsive. The template design is very fresh and cute to look at. The color theme is very offbeat and unconventional and can provide the website with a lazy dreamy look. The template format is super navigable. This is a theme layout that can give a very stylish yet a simple look to the template. 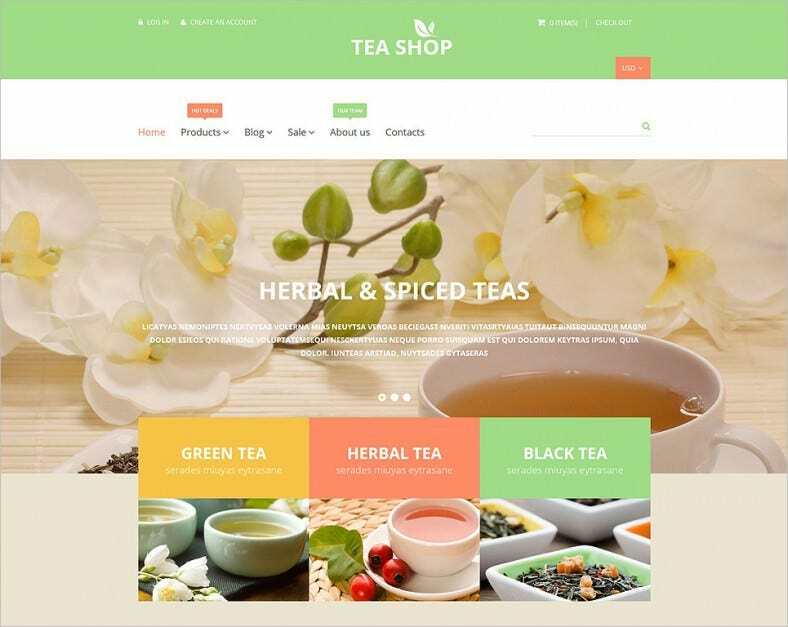 The template is packed with an array of great features yet we see that the template does not bog down the website with its technical aspect s.
This is a template layout that has a very sophisticated look. It is supported by great features. 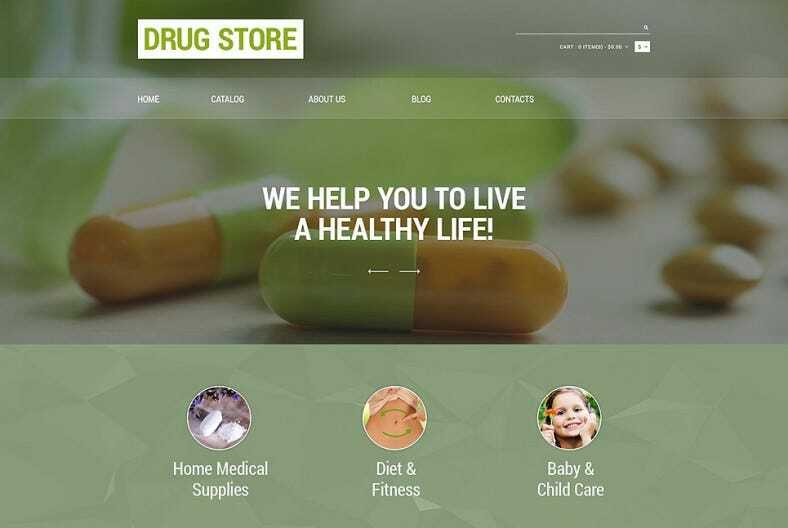 Websites created with the help of this template format can be both very superiorly functional and is also simple to follow. This template layout is available over the internet and has a highly professional look. 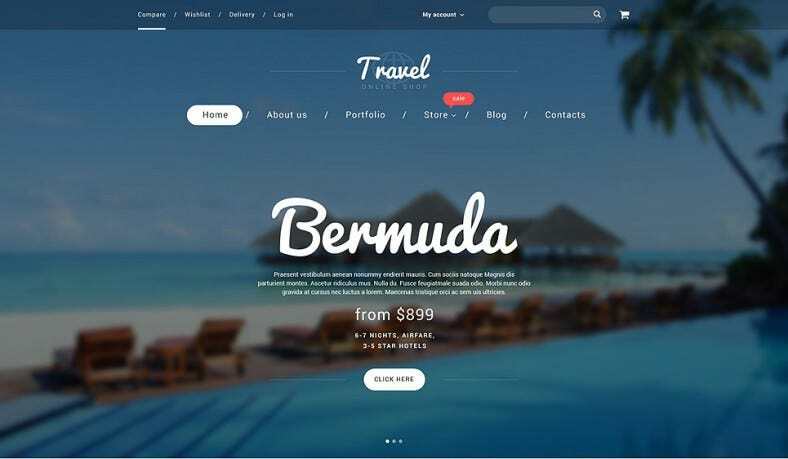 The template can contribute in the making of stylish and effective websites and can also help to save the time of the user. 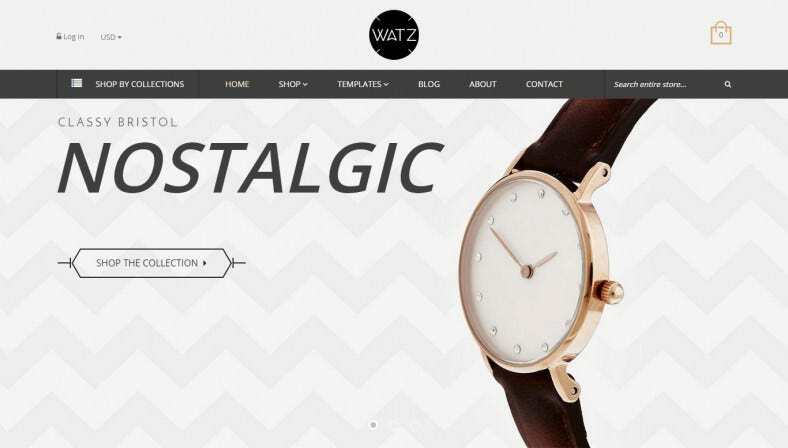 This is a new eCommerce websites template theme that can help to make simple and easy websites. The simplicity of the website can help to attract a larger gamut of traffic. The template is highly professional in its tone. Simplicity is elegance. 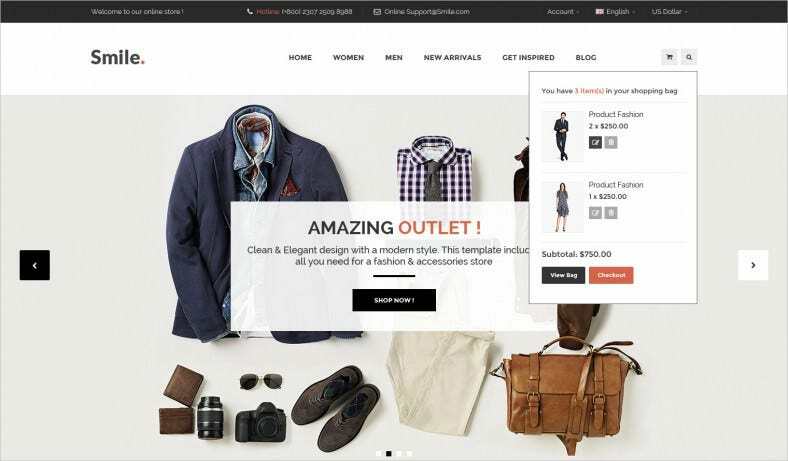 This is a fact that is highly explained by this new eCommerce websites template. The user can employ this template highly elevate the level of his or her online portal. 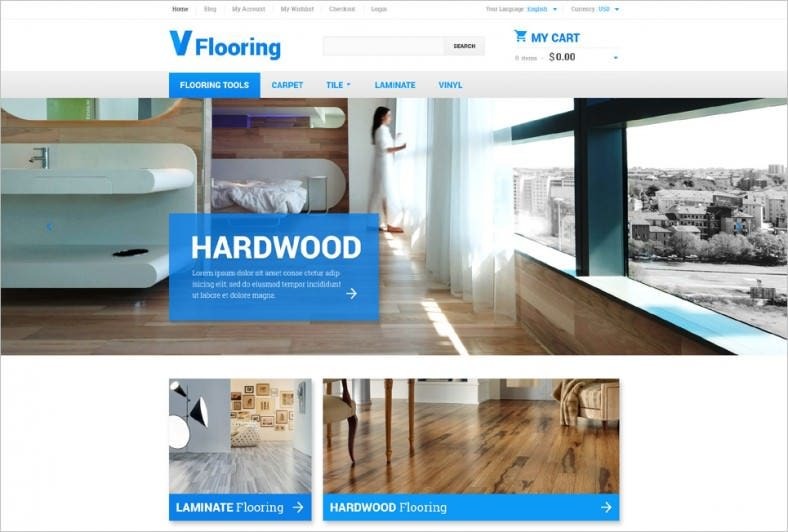 Stylish and sleek this is a template format that can support the website of a modern decor company that is mainly highlighting its service of word flooring abilities. The template has a great admin panel. This template has been provided with a brilliant admin panel. This is a feature that ensures that the user has a complete control over the process of making the website. The template is SEO friendly. This design has a very fresh and peppy look. 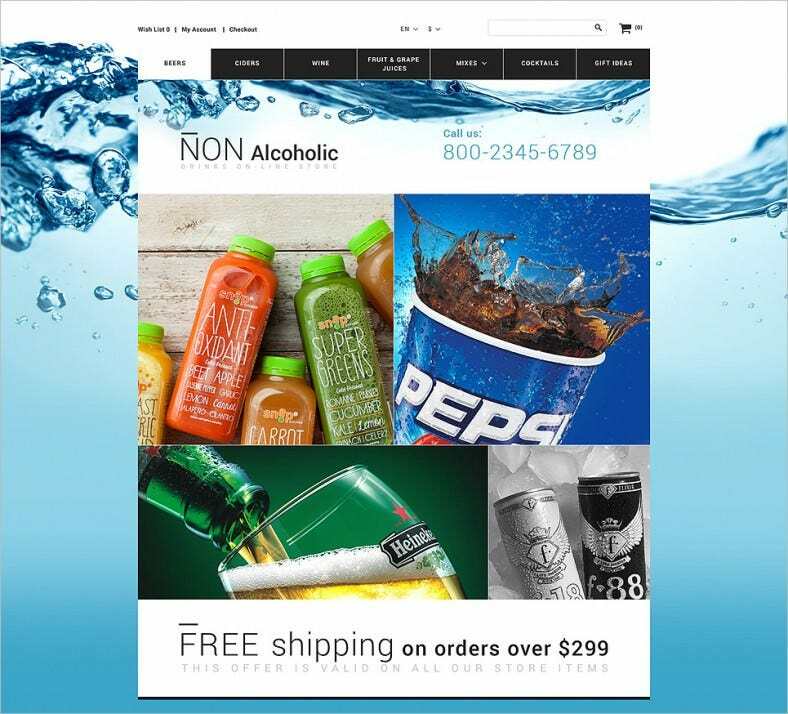 The template can serve to be the best backdrop to create websites for various types of drinks companies. The theme of the template is very generalist in its nature. 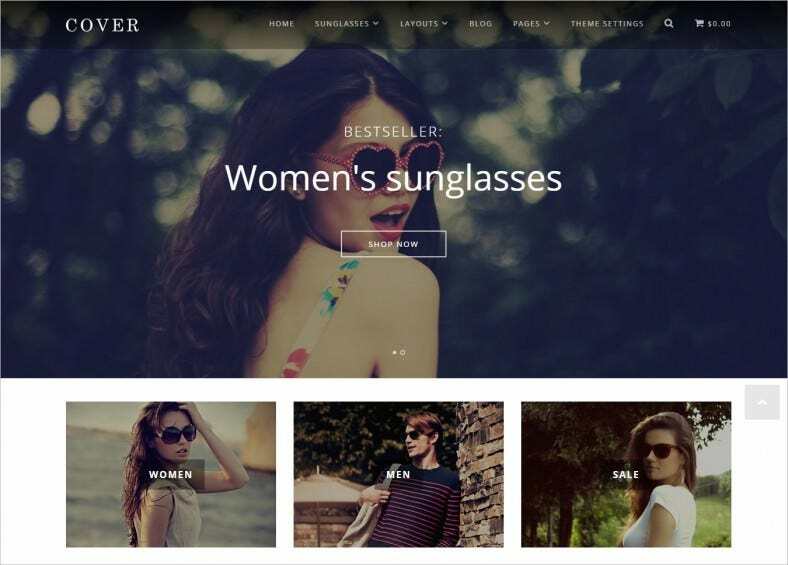 The user can employ this template to make sophisticated and simple websites. Although the template format has a numbered of features yet the format of the final website shall be simple to follow. This format layout can be installed with huge simplicity and convenience. The process of installing can be commenced and completed with a few well sorted steps. The template is print ready. 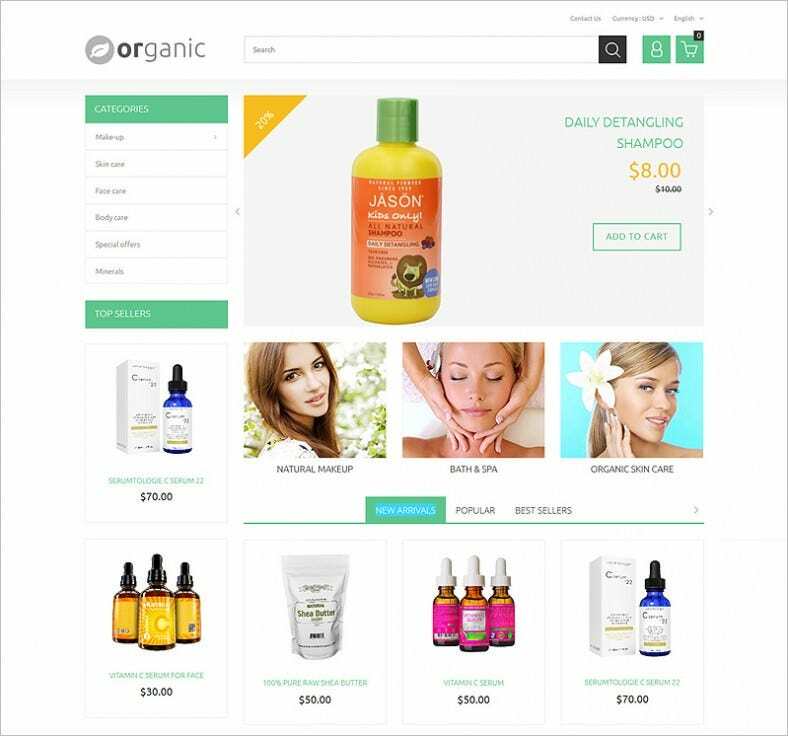 These fancy designer commerce Zen cart templates are been designed and created by experts thus leading to finest artwork for the clients. 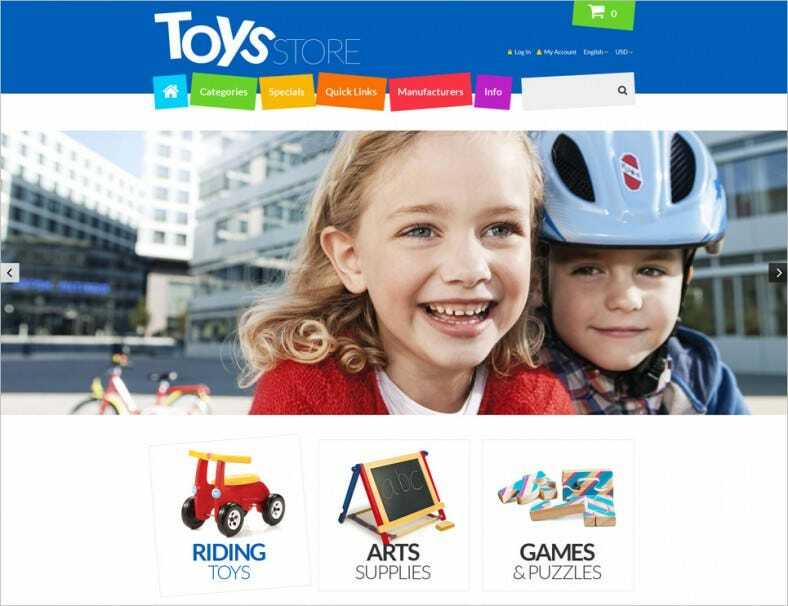 Featuring a responsive design and mega menu option available these templates were been designed for the toy stores. The creators of this tem plate has kept it in mind that the template is created to support the products and services that are meant for the children. The template theme and backdrop speaks of this attribute. 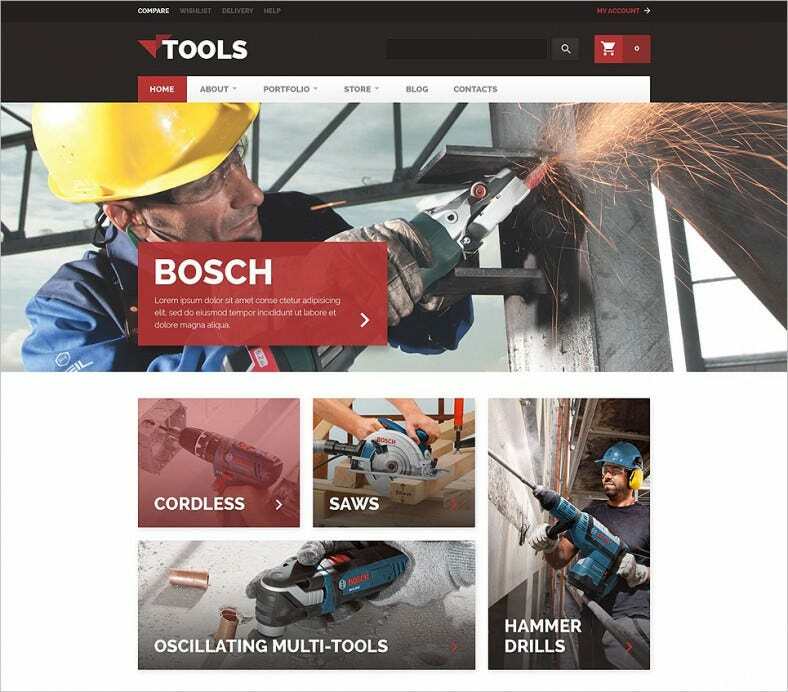 The template has a hoist of responsive features. The design is 100% responsive and can be considered to create highly navigable websites. 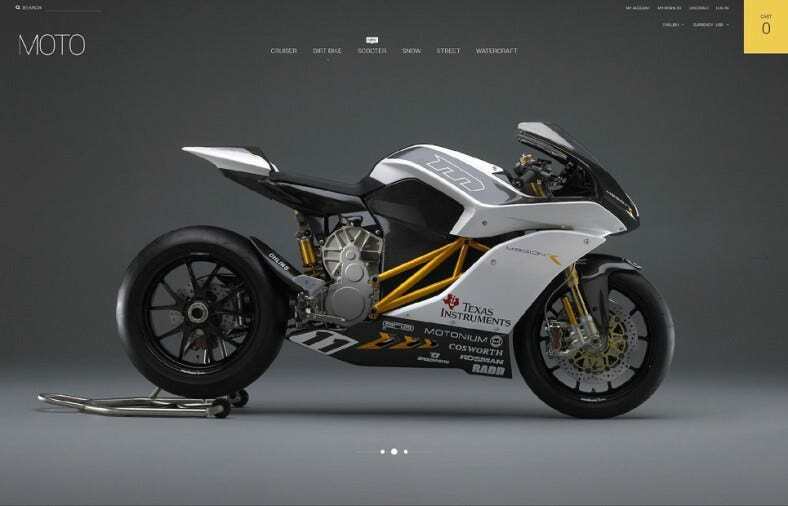 The template can be used to make illustrative and impressive websites. 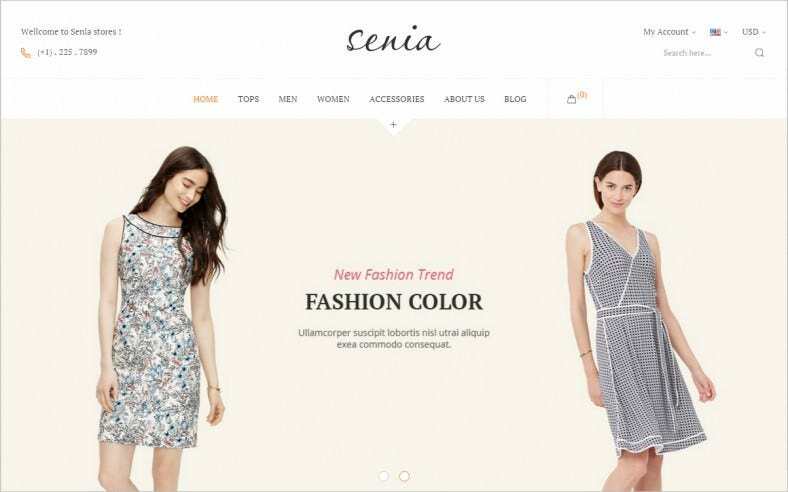 The new eCommerce websites template is a format that has a great resolution range. The user can get very high quality of printouts. The template has an array of impressive and retina friendly images. The template is compatible with a wide array of browsers. This shall allow the websites created with the help of this template to get accessed and opened across a wide array of devices. The template theme is simple and attractive. The format of the template has a professional and highly formal tone. The format is highly print friendly. The template design is fully SEO compatible. 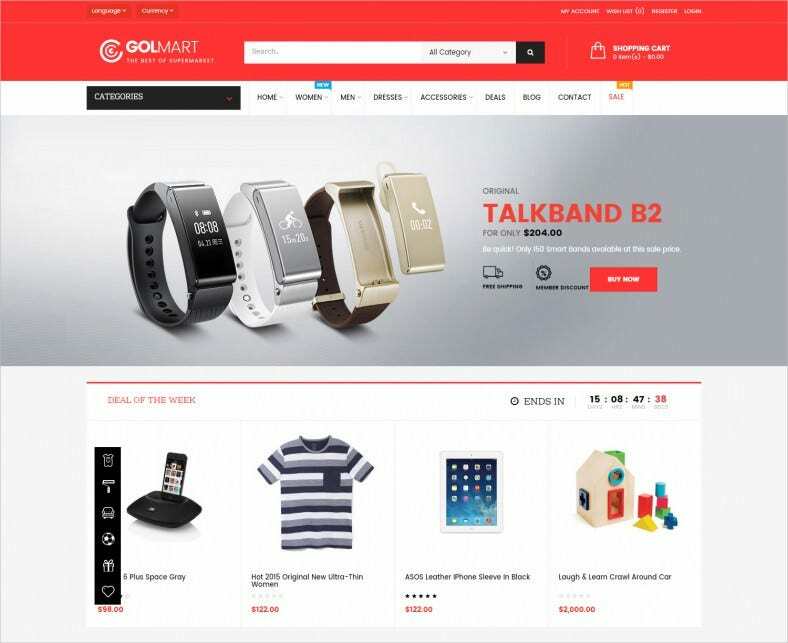 This is a template design that can create great online shopping portals. 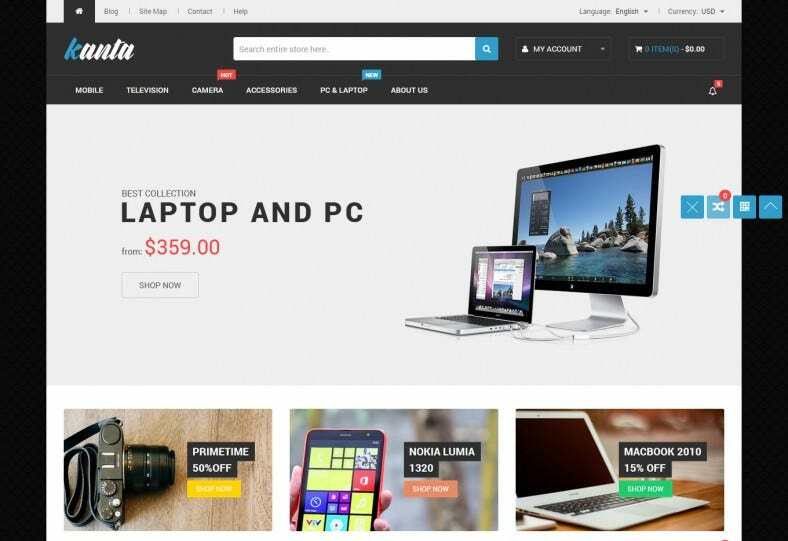 Packed with great features, this template can prove to be the best support for a number of web designers. 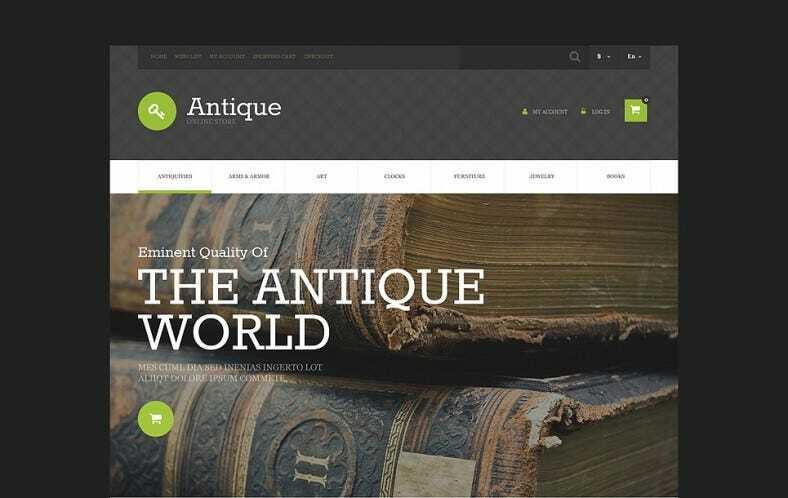 Use this template format to create some of the most offbeat and unconventional websites for antiques. The tem plate is supported by the language of English and can contain a huge volume of information. This is a design layout that has been designed to contain a great mass of information. The information can be presented in a paragraph style and can also be presented in the form of bullet points. 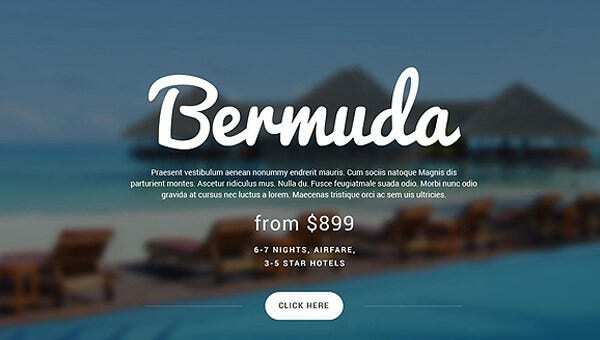 Provided with an array of great technical features this is a template layout that can be one of the best tools for the web developers to make attractive and spellbinding websites. 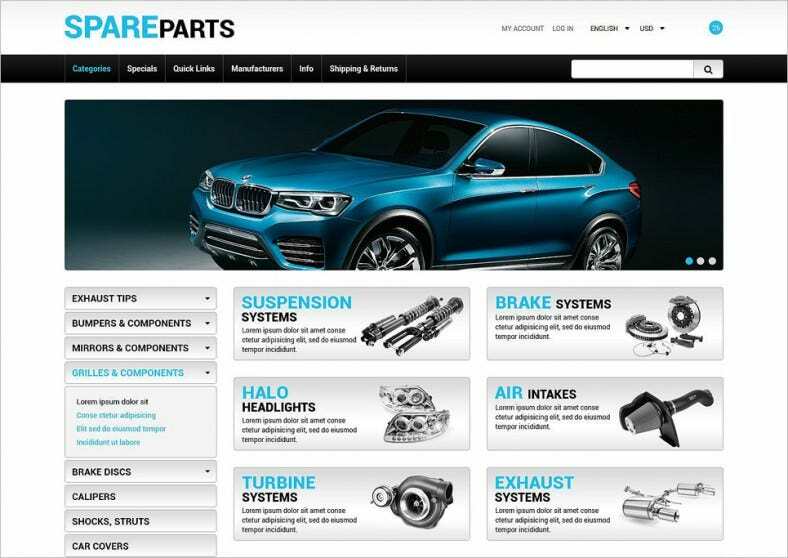 This is a template format for automobile parts. 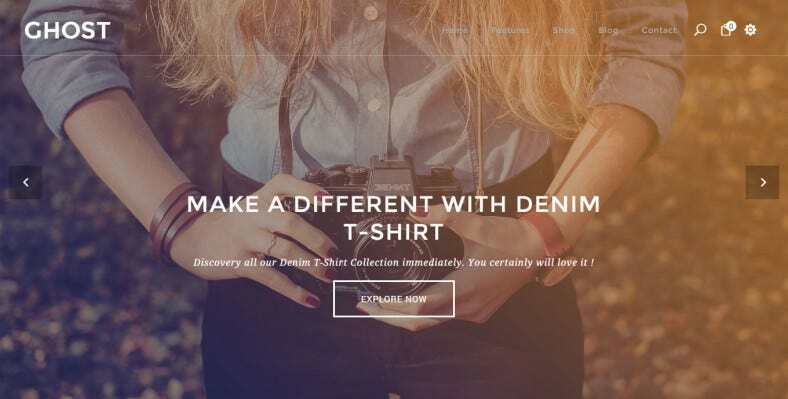 This is a template design that can create lovely websites. 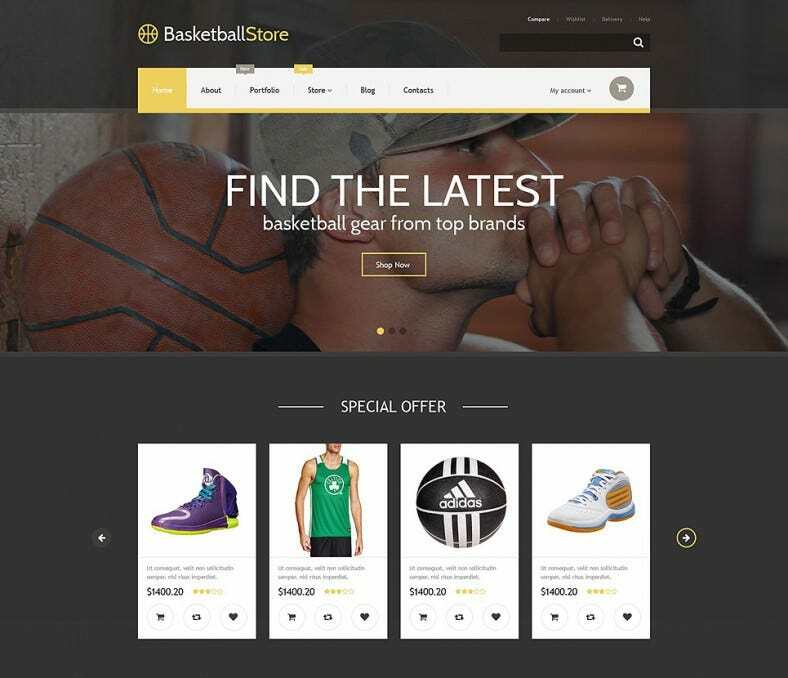 The theme has a generalist concept that can help the user to create different types of web creations. The theme is SEO compatible. This is a design layout that has a very soothing background. The theme is easily customizable. The user can easily change the background of the theme and also the content matter of the theme. 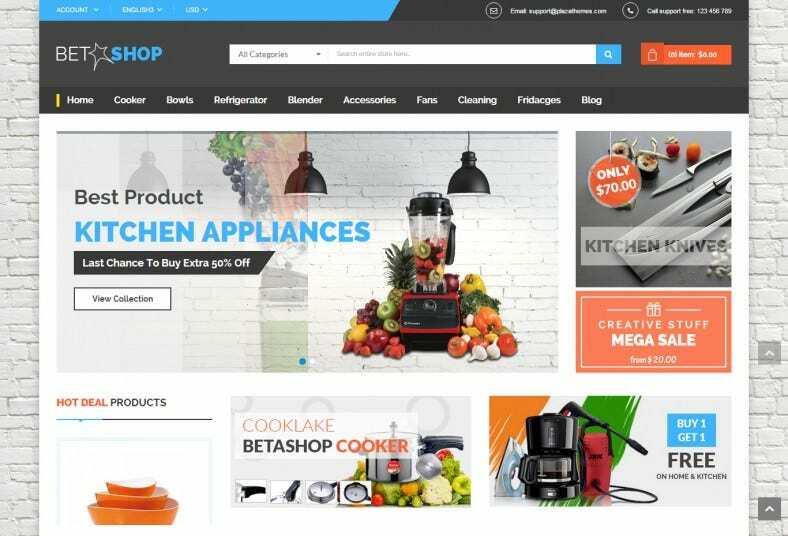 This new eCommerce websites template can be used to create interesting and informative websites that can exhibit various types of kitchen appliances. The theme is highly professional. The design layout can be one of the best supports for the b designers. It can be downloaded in the form of word document and can contribute to save a huge amount of time and work for the user. 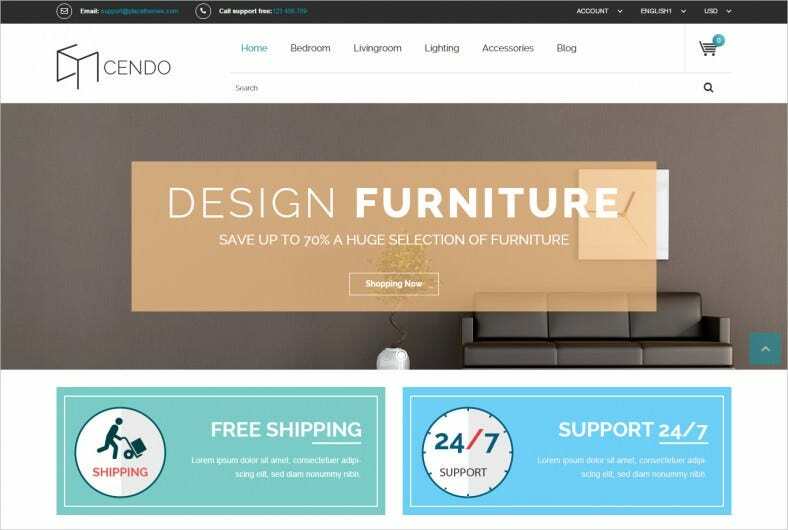 This is a template design that can be used to make great online shopping sites for furniture shops. The template is provided with an array of icon buttons that helps to make the template all the more creative. This is a theme format that has a bright and a fresh look. 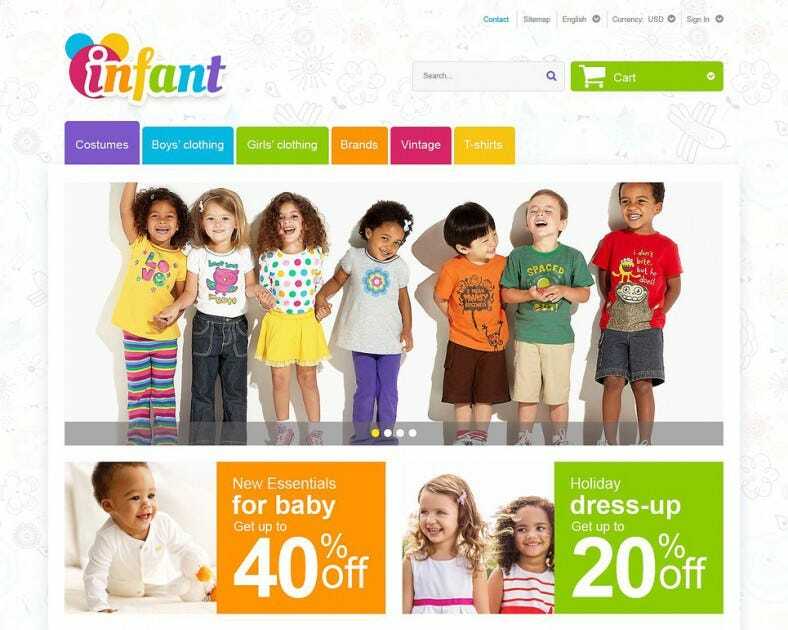 The template structure is super responsive and can be used to create magnificent website for kids. The template samples include free logo designs, header content, multiple responsive sliders and over 50 CMS blocks. The cross-browser compatibility adds to their charm and utility. They also come with enhanced catalog options, cart features and print ready instructions which make them the best in the market. 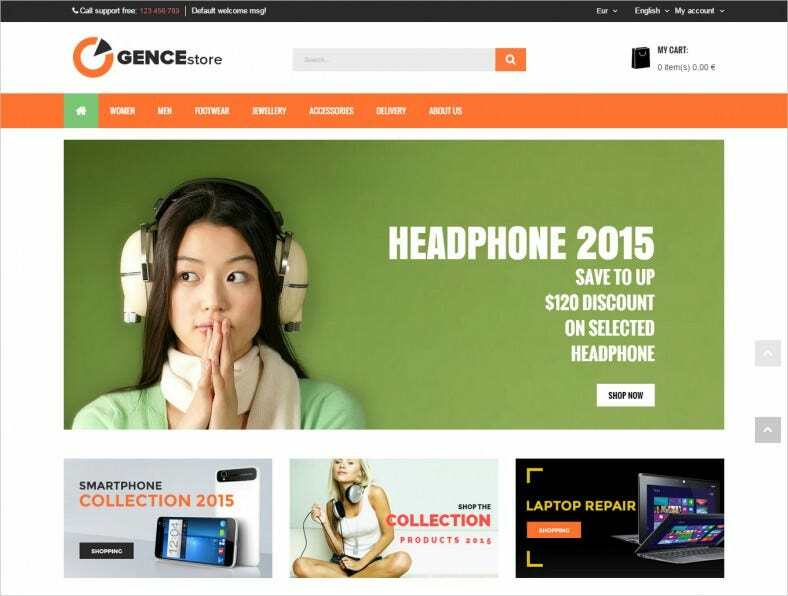 The new eCommerce websites templates and themes can be used for the purpose of making great website for various types. 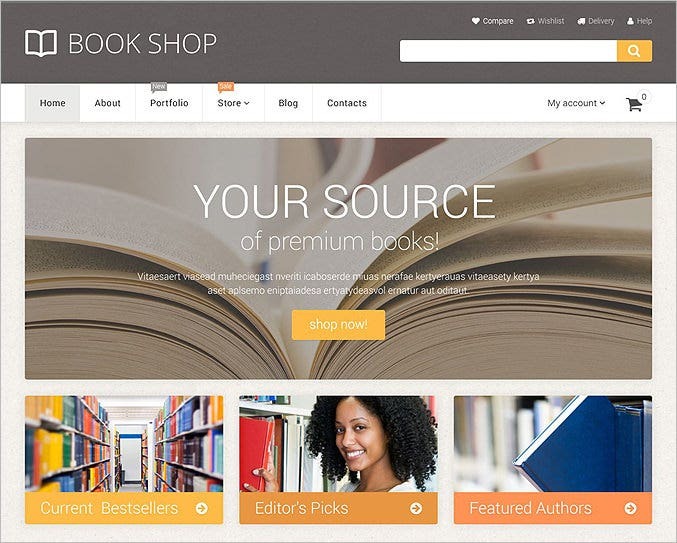 They have a professional tone and looks and can contribute to save a lot of time of the user.